Haji Mosawwar al-Molk was a famous miniaturist whose comic-strip-like depictions of World War II heroes and villains received a medal from the King of England. 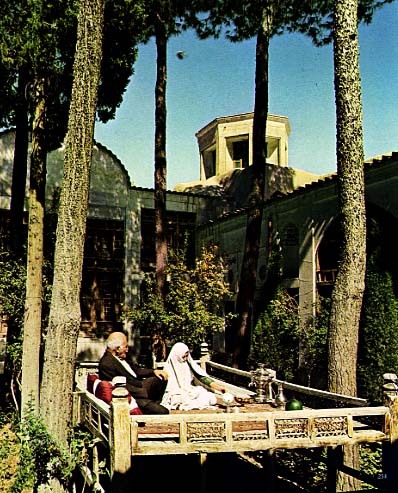 Seated on a wooden platform in the garden courtyard of their Safavid house in Isfahan, he and he wife enjoy a cup of tea. Circa 1974. From "Persian: Bridge of Turquoise"